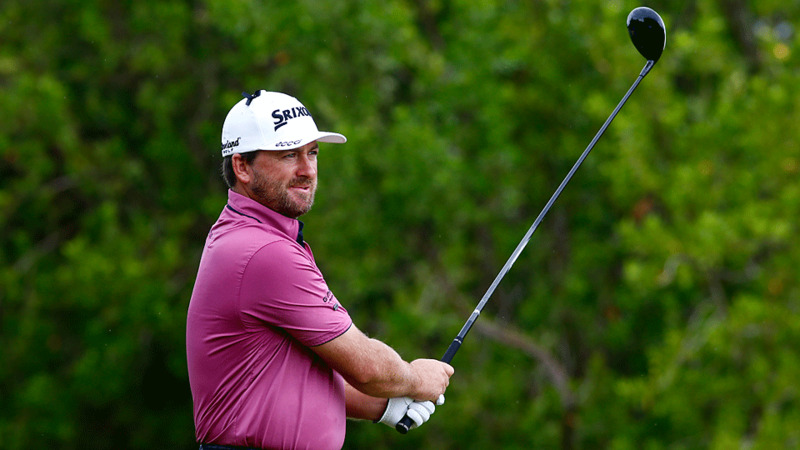 Graeme McDowell shown during the third round of the OHL Classic at Mayakoba. What was the secret to Graeme McDowell’s breaking out of a nearly year-and-a-half long slump at the OHL Classic at Mayakoba? Well, it’s no secret anymore. A simple swing thought, it turns out, carried McDowell to victory. But who alerted the Northern Irishman to what he was doing wrong? McDowell said after his win that a quick tip from none other than Greg Norman significantly helped him, according to Golf Blot. The 36-year-old opened impressively with rounds of 67-63 for a one-stroke lead, but a Saturday 70 left him three back after 54 holes. "I got a text message lesson from Greg Norman on Saturday night and he said he watched some of the coverage and he thought I looked a little short and a little quick," said McDowell. "He said to complete my backswing and be a bit more relaxed at address. So we had a text back and forward, he gave me a couple tips and I really worked hard on completing my backswing yesterday and this morning, and that’s one thing I have been working on with my coaches as well. "He reminded me of some stuff. Obviously he’s one of my big heroes both on and off the golf course and that was nice to get a little positive reinforcement from the Shark." McDowell would go on to shoot a final-round 66 and defeat Jason Bohn and Russell Knox with a birdie on the first playoff hole Monday morning. How will G-Mac thank Norman for the tip? Maybe a gift certificate to his new restaurant.